On July 16, 1969, a Saturn V rocket launched the Apollo spacecraft carrying American astronauts to the surface of the moon, where Neil Armstrong would take his famous first steps and fulfill Pres. John F. Kennedy's goal of a successful lunar landing by the end of the decade. This event marks one of the greatest achievements in human history and is in large part due to the years of rocket testing that took place at the Douglas Aircraft Company's Sacramento testing facility (SACTO). The SACTO facility played one of the most important roles in the success of the Apollo 11 lunar mission and is where the Saturn rocket's S-IVB stage was developed and tested—making this historic accomplishment possible. Alan Lawrie is a satellite propulsion engineer working for Airbus Defence & Space in the United Kingdom. He has 35 years of experience in the space propulsion industry. He has written two books on the Saturn rockets as well as articles in Spaceflight magazine and conference papers on related subjects. He frequently gives public lectures on these subjects. He is a Fellow of the British Interplanetary Society and lives in the United Kingdom. 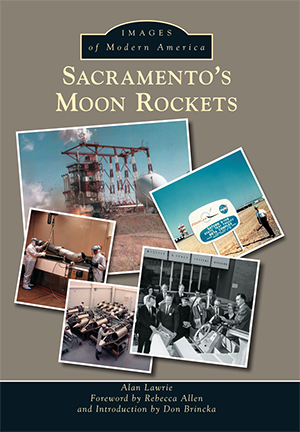 All author proceeds from the sales of this book will go to the Discovery Museum, Science & Space Center of Sacramento.